Maysan Oil Company, in coordination with the Iraqi Drilling Company, announced on Sunday the completion of drilling operations to deepen and rehabilitate the Well / 7 and link it to the company's production system, pointing out that its production capacity reaches more than 1500 barrels per day. The company's general manager, Adnan Noshi Sajt, said in a statement received by the "Economy News" a copy, that "the drilling of the Well / 7 at the time had encountered conditions under the surface difficult geological formations excavated caused technical problems, which led to the suspension of these operations at Depth 3130 meters, "which called for the implementation of a new drilling program within the company's plans for the national effort of 2018 to deepen the well to reach the main goal of the well is the reservoir of the river Omar. 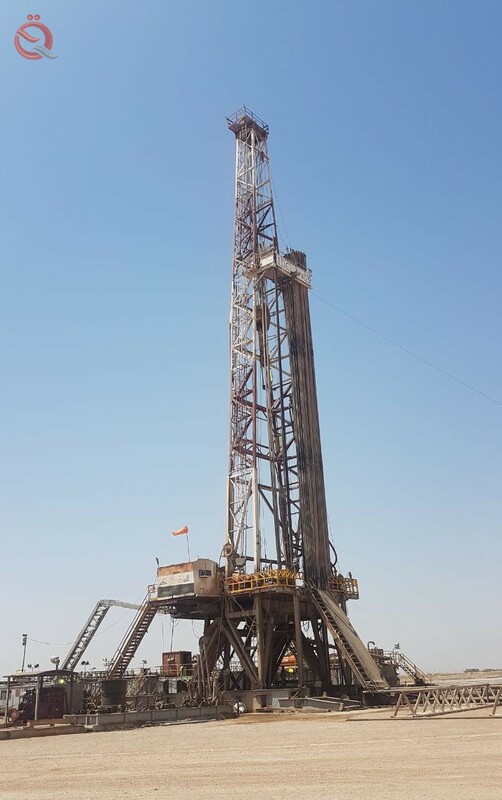 "The drilling program was implemented to deepen the well in coordination with the Iraqi Drilling Company and after the availability of the necessary equipment from the lining of the 41/2 and the accessories were increased the depth of the well about (700) meters, and access to the product reservoir (River Omar) Chinese to use some specialized drilling equipment. " The director general of the company, "The tests of Jerayanip well indicates the availability of high quality oil iPI = 31 and commercial quantities are expected to reach more than 1500 barrels per day." It is worth mentioning that the Missan Oil Company carries out the development of Noor and Al-Amara fields through the national effort represented by the cadres of Maysan and Iraqi Drilling Company, where a number of wells were drilled in the two fields in order to boost production from the fields of the company.